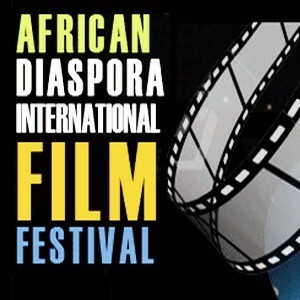 The African Diaspora Film Festival presents an eclectic mix of Urban, Classic, Independent and Foreign films that explore the richness and diversity of the life experience of people of color all over the world. ADFF’s mission is to present these films to diverse audiences, redesign the Black cinema experience, and strengthen the role of African and African descent directors in contemporary world cinema. In response to this mission, ADFF features the work of emerging and established filmmakers of color. Most important, ADFF distinguishes itself through its presentation of outstanding works that shine a different or comprehensive light on African Diaspora life and culture – no matter what the filmmaker’s race or nationality. By placing the spotlight on innovative films that would otherwise be ignored by traditional venues, the Festival offers a unique platform for conveying African Diaspora artistic styles and craft in film. The ADFF is a bridge between diverse communities looking for works that cannot be found in other festivals and talented and visionary filmmakers and works that are part of Africa and the African Diaspora. The ADFF is paving the road in the new millennium by breaking through boundaries that keep our communities from knowing their own stories as well as each others. Moreover, filmmakers, writers, actors, producers, and other Festival artists share valuable moments of insight describing their craft, style, and vision in a series of post-screenings conversations the ADFF features. By marking the methods that underscore the art of cinema, the Festival demystifies the traditionally “elite and exclusive” aura of the filming process. These forums give rise to spontaneous and meaningful interaction between the featured artists and the audience.